I keep showing the short CNN explains 3D printing video in talks I have to give to students, and always love that you and Windell are walking through the MakerBot store in it! The people at the forefront of this movement, they say they want this to be as common in peoples homes as the toaster oven. This entry was posted in Education, Engineering, Field Trips, General News and tagged 3-D printing, news. Bookmark the Permalink. 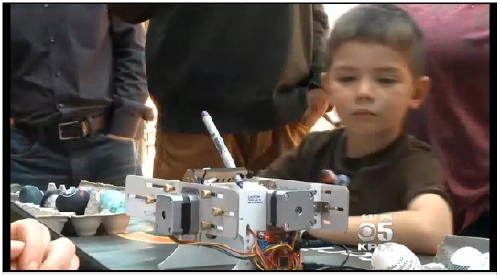 The Robot Block Party was on the news yesterday, including a our very own Eggbot in action. You can watch the segment, titled “Robotics ‘Block Party’ Attracts Diverse Crowd To Palo Alto” over at CBS. This entry was posted in Eggbot, Field Trips, General News, Robotics and tagged eggbot, news, robotics. Bookmark the Permalink. Our Peek-O-Book made an appearance in this segment on The Art of Tinkering on the news. This entry was posted in Art, EMSL Projects, Engineering, General News and tagged news. Bookmark the Permalink. Our Sconic Sections post was highlighted in an article in the science section of today’s New York Times. The article covered several science and engineering topics in addition to geometric food (including George Hart’s Möbius bagel). Previously: Edible Googly Eyes in the New York TImes. 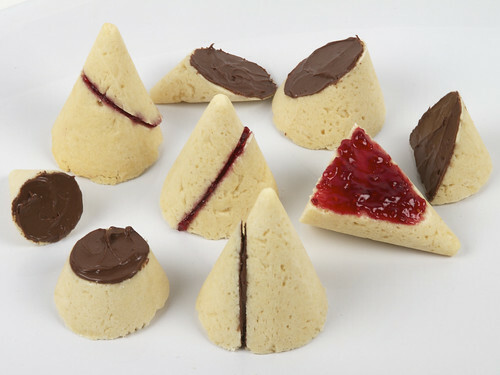 This entry was posted in General News, Mathematics, Play with your food and tagged food, news. Bookmark the Permalink. You may already be familiar with Super Awesome Sylvia, who has been working hard with us on the WaterColorBot toward our planned launch in July. 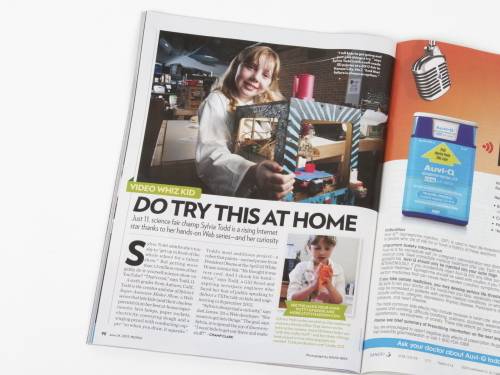 Sylvia was just featured in the June 24 issue of People Magazine. Way to go, Sylvia! This entry was posted in Art, Education, Engineering, General News and tagged news, super awesome sylvia, watercolorbot. Bookmark the Permalink. 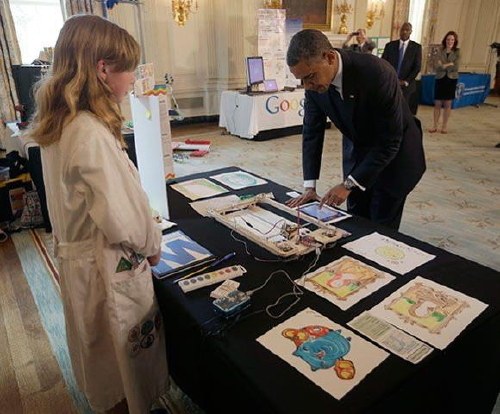 We are super-excited because Super-Awesome Sylvia, who we have been working with on the WaterColorBot, has been invited to this year’s White House Science Fair to show off her project! Way to go Sylvia! Tune in Monday, April 22 starting at 11:30 am EDT, at wh.gov/sciencefair, to watch the event live! This entry was posted in EMSL Projects, WaterColorBot and tagged news, super awesome sylvia, watercolorbot. Bookmark the Permalink. 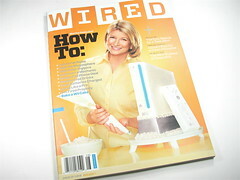 In the August 2007 issue of Wired Magazine (pictured here and just showing up on newstands now), there is a short writeup about the CandyFab. There’s even a picture accompanying the article, which shows us with the machine. w00t! Update: The online version is up. This entry was posted in Everything Else, General News and tagged candyfab, news. Bookmark the Permalink.